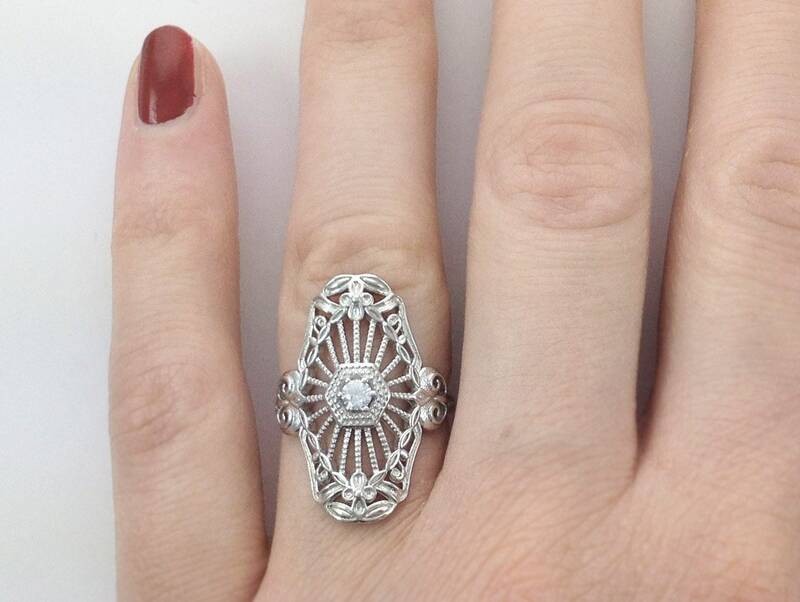 Vintage 1920s Art Deco Inspired Ring in 925 Sterling Silver. 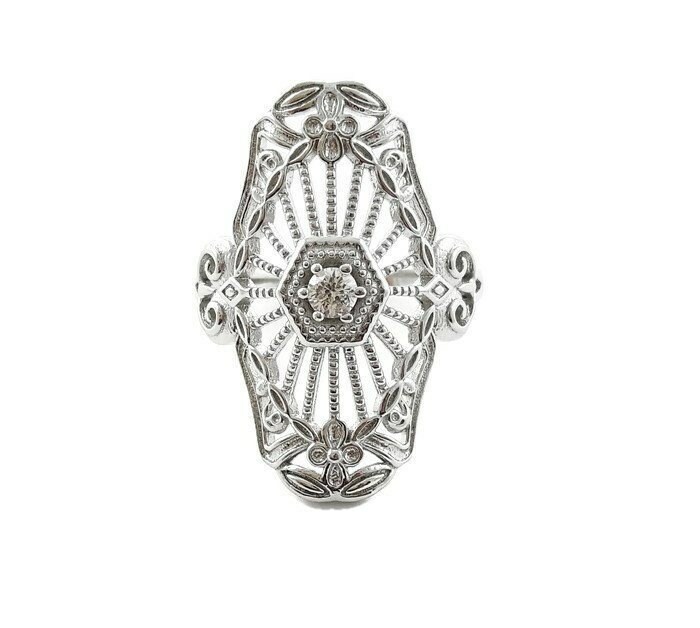 Art Deco Inspired Filigree Ring. 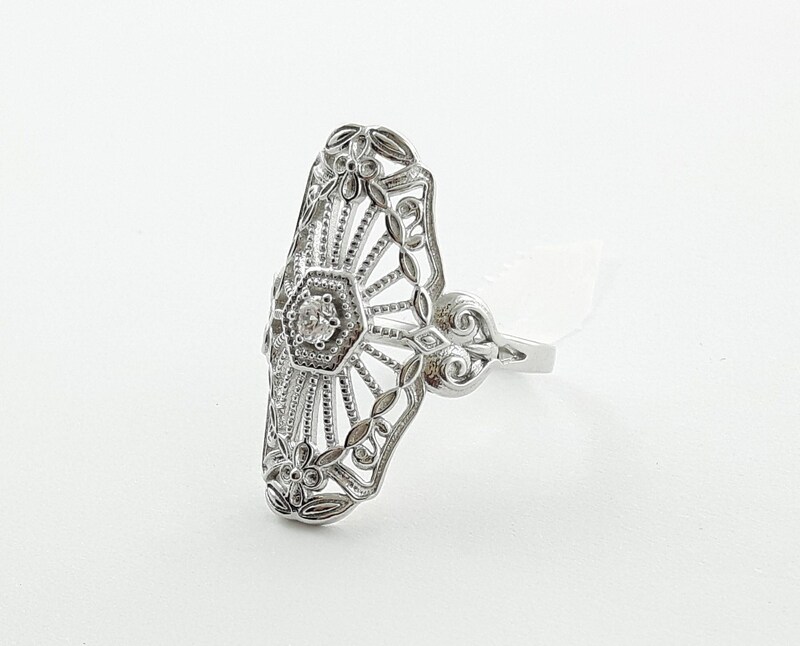 Precision cut simulated Diamond in a delicate Sterling Silver Filigree setting. Mold replica made from an original Diamond and Sapphire Deco Ring to make this incredible reproduction. Material: Rhodium plated 925 Sterling Silver with precision cut fine crystals. Stone Dimensions: Clear Round 3mm Diameter.